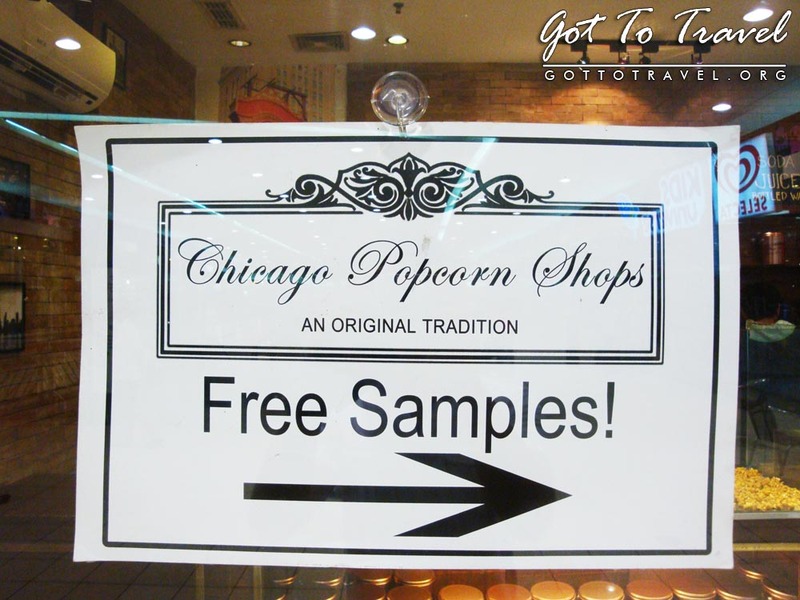 Chicago Popcorn Shops is one of the few places that offers not just your ordinary popcorn. They have very tasty confectionery popcorn or popcorn candy. 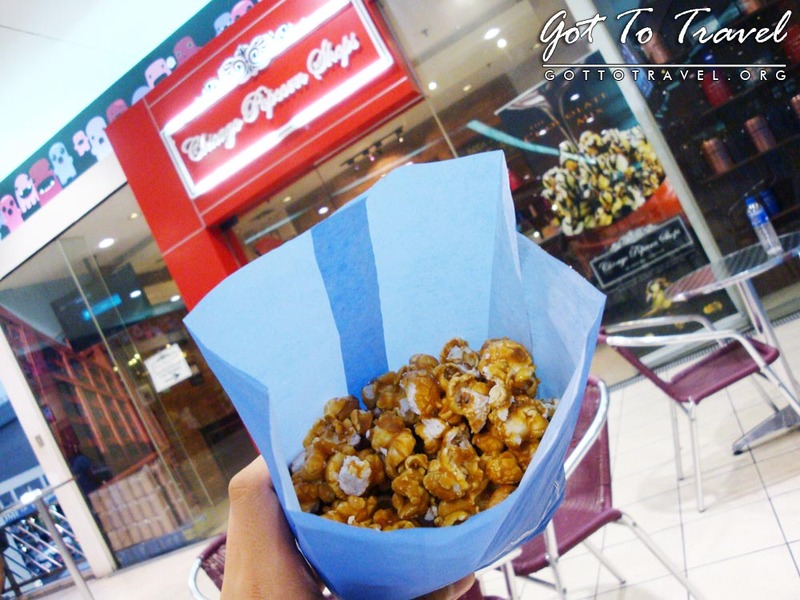 They have various homemade flavors like Caramel, Chocolate, Cheese, Nuts, and Butter Popcorn. Chicago Popcorn Shops started in 2008 and now has 3 branches in Metro Manila. 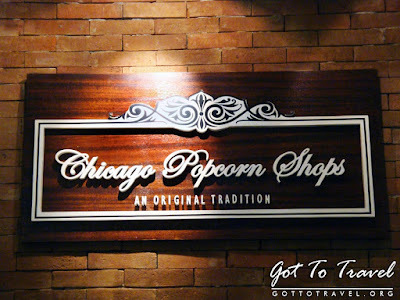 Chicago Popcorn Shops has an affordable menu. They offer 4 different sizes, which the largest is the one that comes along with a tin container. 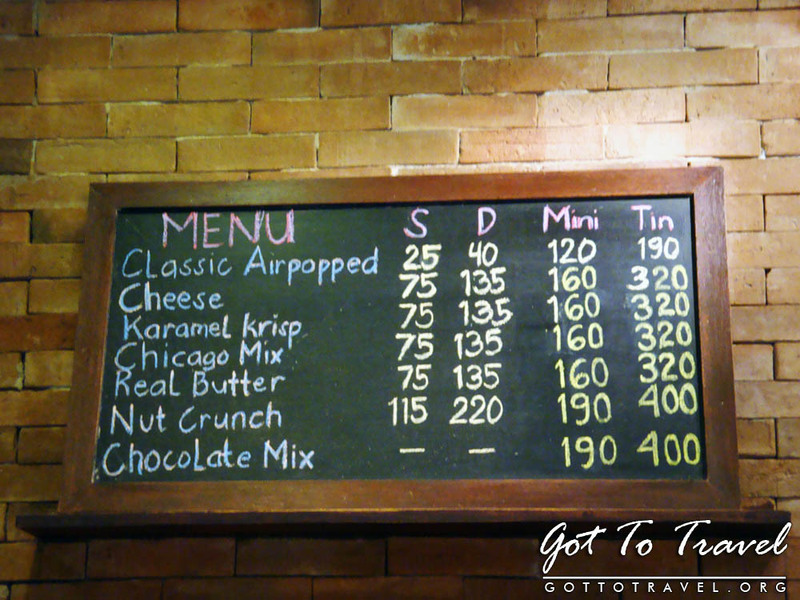 The classic airpopped is their cheapest but why bother going there if you won't order one of their confectionery popcorn. Here are the sizes available. Their popcorn is really sweet and heavy on the belly so I suggest ordering the single or double, it's good enough for two to three people. 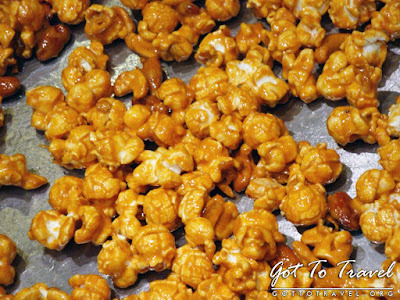 At that time they were preparing Nut Crunch popcorn, and the smell was just irresistible. I ended up ordering Nut Crunch, which is one of the best sellers. It's a mix of different nuts and caramel coated. 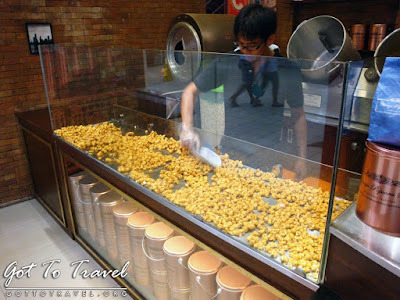 Nut crunch is really tasty but is also very sweet. 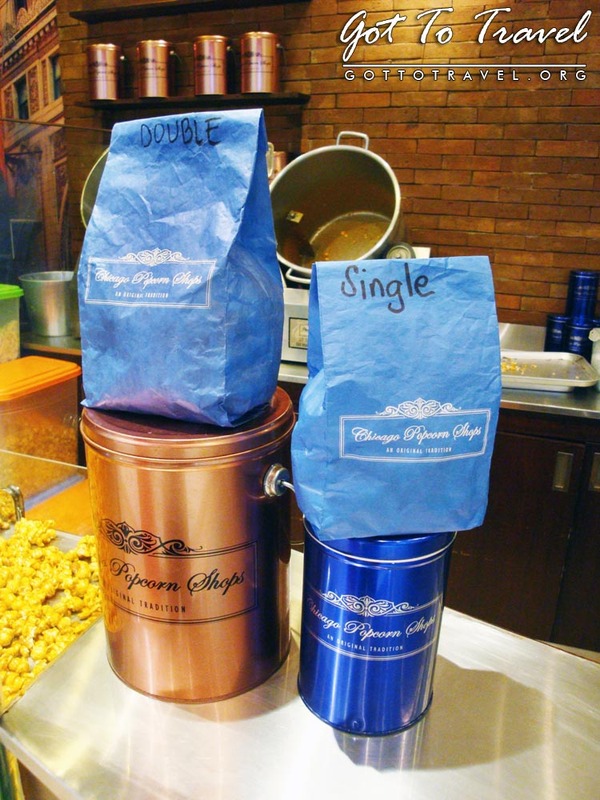 I can't even finish my single order on my own. 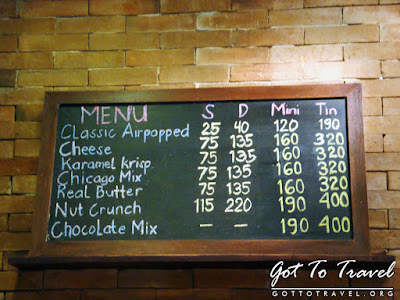 If you're going to order Nut Crunch better have a bottle of water to flush of that sweetness. Not sure on what you want? 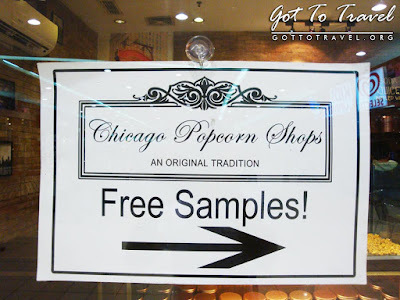 No worries since they offer free samples. 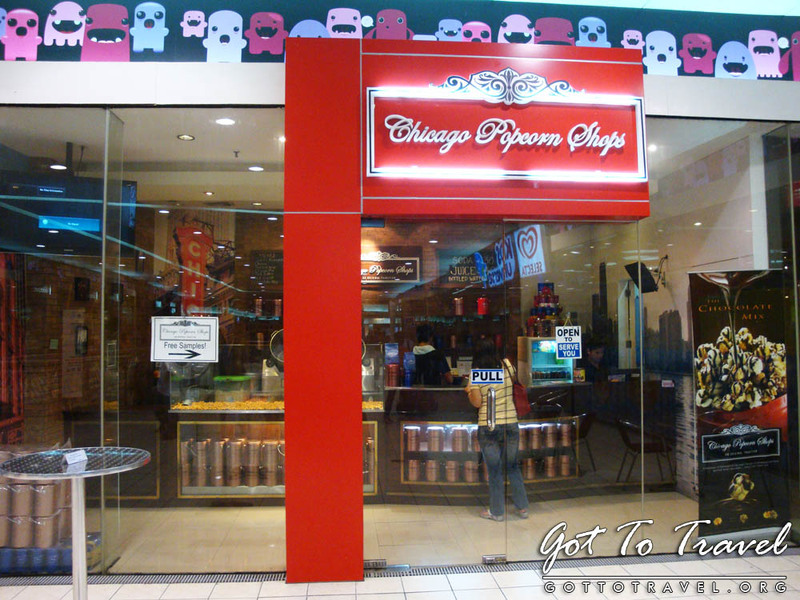 So drop by and try out some extra ordinary popcorn.